If you are currently working on a new marketing campaign or planning a product launch soon, then you’ll need an effective landing page website to stir up the Internet and make a strong foundation for your business’ online presence. A landing page is a great way to generate new leads and convert visitors into prospects, along with other purposes. As an excellent digital marketing tool, a landing page allows you to reach out to your potential customers as well as get the word out and build hype for your apps, software products, services, creative works, and even skills. It can help establish your reputation and credibility in the industry before you make your official entry, effectively market your products, and eventually boost your sales and profits. But building a landing page from scratch can be a daunting task, especially if you have little to no knowledge about web design. Even if you hire a professional developer, it could take a lot of time and effort as well as a lot of money to have a truly efficient and effective landing page. However, you do not have to fret because there is another option to consider. 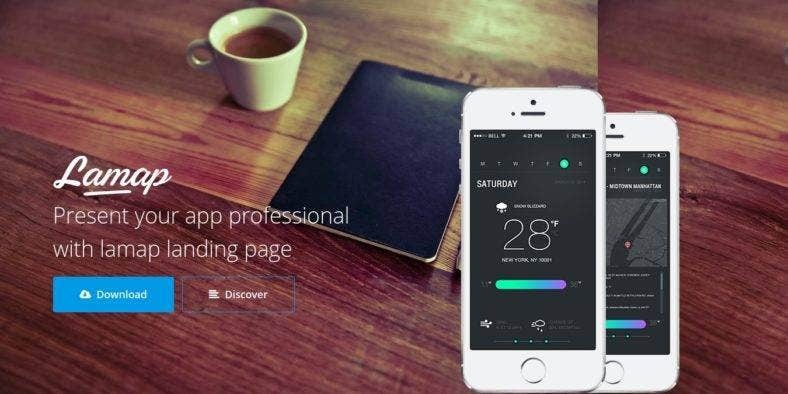 Below is a collection of the best landing page themes and templates that you can use or find inspiration from for multiple purposes. 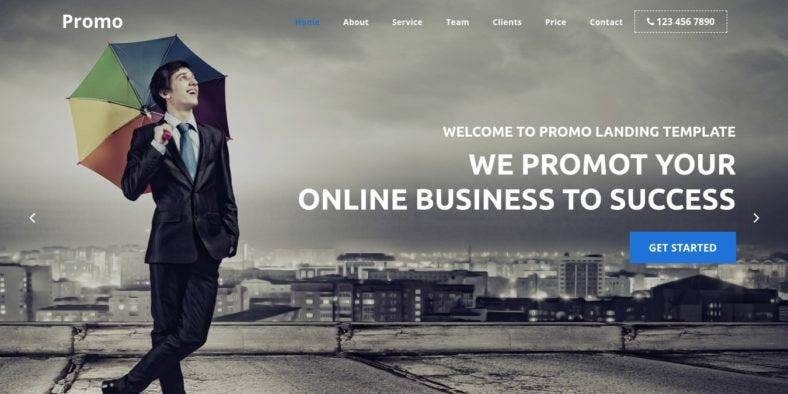 These templates are custom designed to fit any type of business or creative niche, with optimized and tested code for better functionality and usability. The templates are also integrated with trendy and powerful features that will help you get quality results. So, what are you wasting time for? 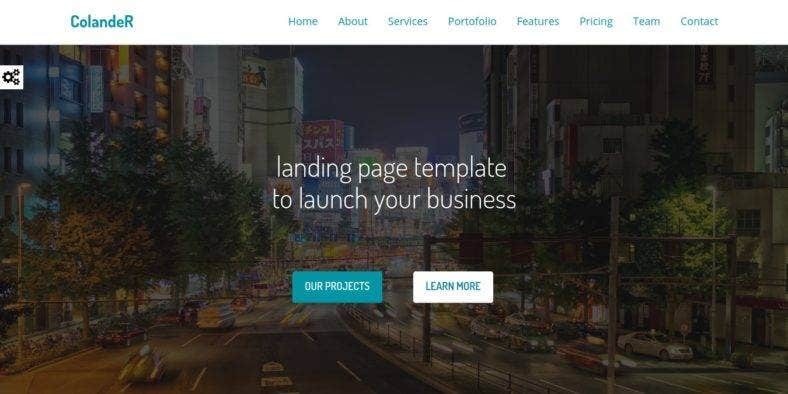 Check out these awesome landing page themes and templates and build an effective marketing strategy and efficient sales funnel for your products and services. As a modern marketer, business owner, digital artist, and web or software developer do not get left behind and incorporate a landing page from this list of themes into your digital marketing strategy. To start with, here is Othelo. This multipurpose one-page landing page template is great to use for any type of business or company website with its professional-looking design and awesome features included in the theme. Built with the latest Bootstrap framework, this template is fully responsive and cross-browser compatible, with three template variations to choose from. Its features include a nice and clean design with a simple layout, integrated with a Revolution Slideshow, parallax and video background banner, the latest Font Awesome and Line icons, and more. Next is Kashmir, a clean and minimal landing page template made for multiple website purposes which include agency, company, app business, startup company, small business, and many other modern businesses. It is fully responsive and features a home parallax effect, working contact form, and a newsletter subscription form, among others. This template also boasts of a valid HTML5 and CSS3 code that is easy to customize thanks to its well-commented documentation that is easy to understand and use, making it suitable for other website niches. 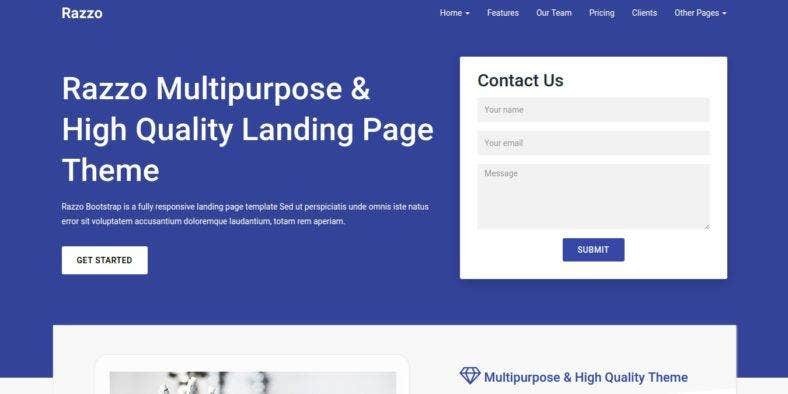 The multipurpose landing page template you see above is not just created for businesses but also for creative companies, startups or agencies, and other multiple purposes. Colander, as it is called, is powered by the latest HTML5 and CSS3 techniques with a bunch of power-packed features. Based on Twitter Bootstrap, it is fully responsive and optimized for SEO with four ready-to-use colors, background slideshows, Font Awesome icons, working subscription and emergency contact forms, Google maps, responsive pricing tables, documentation, and full developer support. A one-page multipurpose landing page theme, Almex is a great template to use so you can promote your web services and launch your startups in a smart and professional way that will surely catch your target audience’s attention. This HTML5 template is built on the Bootstrap 3 framework and includes a bunch of cool features like stunning animations, a working PHP template, pricing tables, a testimonial slider, video section, hundreds of Font awesome icons, Google Web Fonts, and more. It also includes two layout variations to choose from. 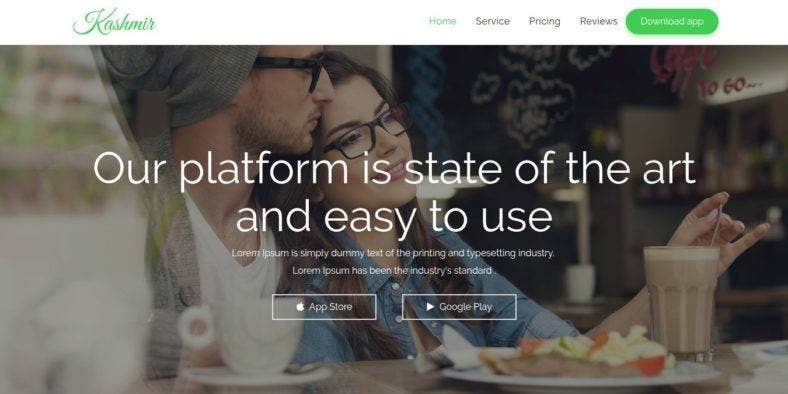 Next is Lamap, another responsive landing page theme that is created for multiple purposes such as presenting your apps products, launching your startup business, or generating leads and conversions. The template comes with three versions and various header styles with an image, slider, or video background that also includes both light and dark skins. 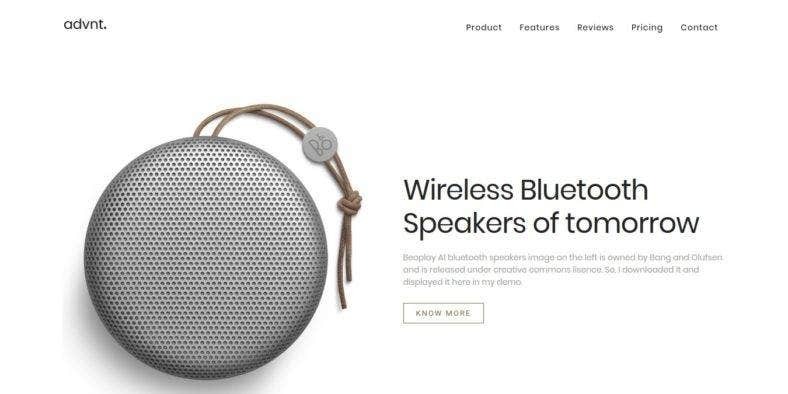 Powered by Bootstrap 3.3 and written in valid HTML5 and CSS3 code, it features a Screenshot carousel, Customers carousel, client logo carousel, Google Fonts, Font Awesome icons, CSS3 animations, and more. Then we have this multipurpose one-page parallax HTML5 landing page template, Promo. The theme presents an awesome design and powerful functionality as it is built with the latest web design technologies. Among its features are the Slider Revolution which helps create a stunning slider with various animation effects, an Owl Carousel that is great to use for testimonials slides, and a fluid responsive layout which enables your site to fit any device perfectly. Moreover, it has six valid HTML5 page templates with six home page styles to choose from. 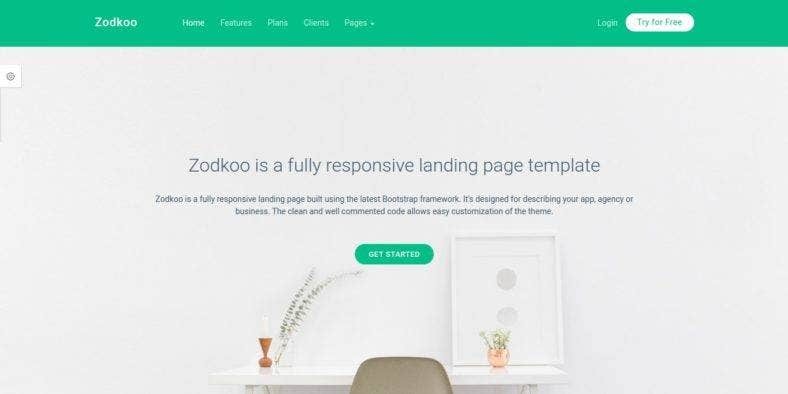 Zodkoo is a multipurpose landing page theme with a highly responsive design as it is built with the most recent Bootstrap framework version. It is created with both light and dark layouts, over 12 event landing page templates, eight color schemes, hundreds of icons, and so much more. It also features an image background, sticky header, pricing tables, and a clean and well-commented code, among others. This template has a super clean and ultra-modern design that is perfect for any app, agency, product, and other types of business niches. Another Bootstrap landing page template is Creativ. This responsive theme comes with four template variations, all with a clean and sleek design that is crafted using the latest Bootstrap framework as well as the most recent HTML5 and CSS3 standards. It has a fully responsive design that adjusts perfectly to any device of different screen sizes, working contact and newsletter subscription forms which allow you to generate leads and boost your conversion rates, and a full W3C valid and well-commented code for better usability and customizability. Here is an all-in-one marketing landing page template that is developed for multiple purposes in mind. 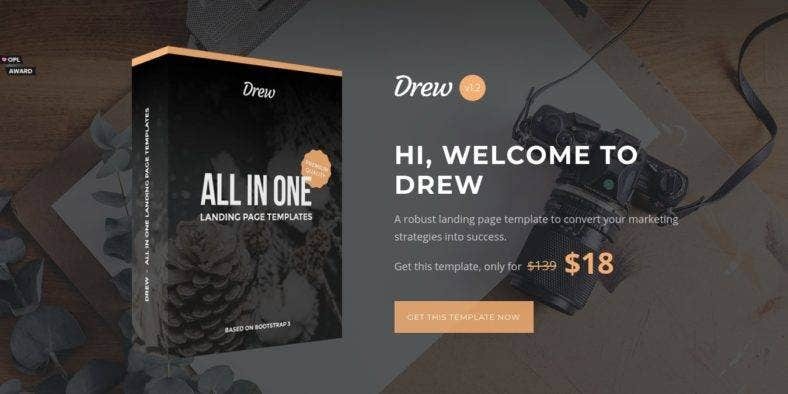 Drew is a robust web page theme that comes with a combination of good design and high performance as a perfect solution to all your digital marketing needs. It is packed with a bunch of components and variations that will help you build anything from a simple product promotion page to a lead generation landing page for a click-through action campaign. It includes features such as headlines, image or video promotions, countdowns, testimonials, etc. Here is a multipurpose HTML landing page theme that provides a perfect solution for creating a clean and modern landing page for different purposes. StartEx comes with six landing page variations that include templates for apps, startup businesses, corporations, and products, among others. It features a fully responsive design, parallax and video backgrounds, a number of inner colors, hundreds of Font Icons, Google Fonts, CSS3 animations, and so much more. The theme also comes with six layered PSDs and well-commented code for easy customization. Next is this creative landing page template built for multiple purposes as it comes with several template options for agencies, apps, books, businesses, product, services, food, and so much more. 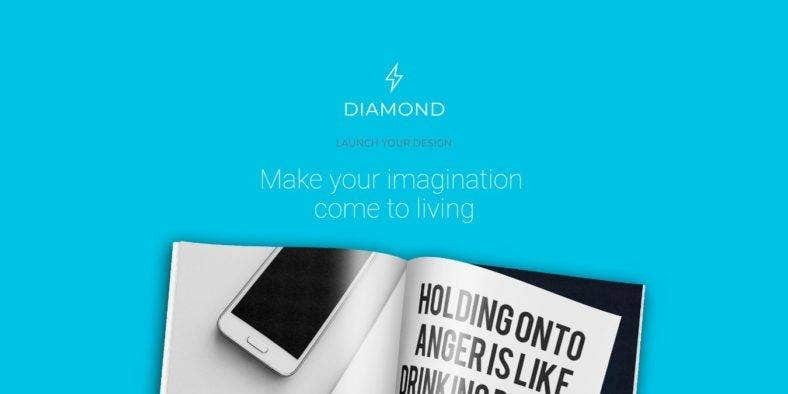 Diamond is a multipurpose theme that features a responsive design which adapts well to any device, a simple and clean layout which organizes the content well, Google Fonts and Ion Icons for a gorgeous typography, lots of color variations, a working contact form so visitors can reach out to you, and outstanding alerts, among others. The high quality multipurpose landing page template you see above is Razzo, a responsive Bootstrap HTML theme that comes with a clean and sleek minimal design which helps make your apps or products shine more. 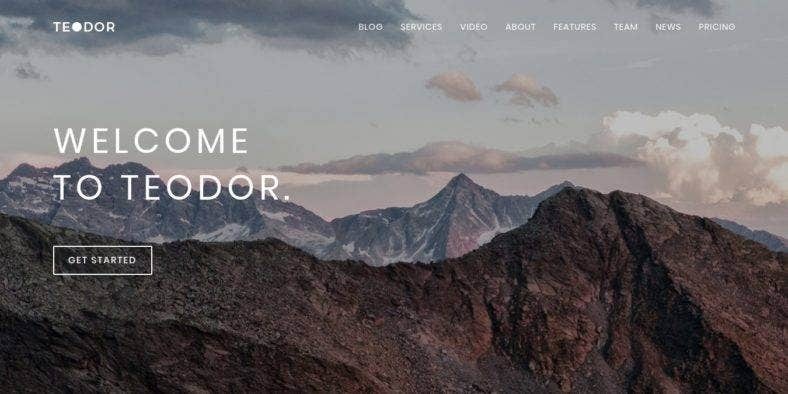 Developed using the latest web design techniques, this theme is composed of every possible element and feature needed for marketing and showcasing any product, service, or skill. It includes four landing page variations, six inner pages, a sticky header, pricing tables, and a clean and well-commented code so the theme is easy to use and modify. To end this list, here is Metheor. It is a multipurpose app showcase and landing page template that comes with four versions to choose from so it fits multiple types of marketing concepts. 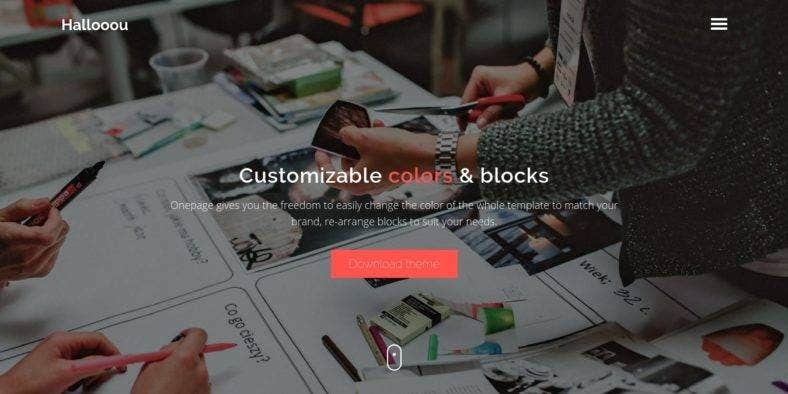 It also comes with four built-in color schemes that allow you to generate your own skin through SASS and provide you with lots of creative freedom to style your landing page according to your desires and needs. The theme’s features include beautiful parallax animations; boxed, full-width, and masonry layouts; and fully valid and SEO-friendly code. Greenland is a clean multipurpose landing page template with a smart and creative design over a clean and unique layout. It has six different homepage styles that are easy to use and customize in order for you to build the perfect landing page for your apps, product, services, or promotions. 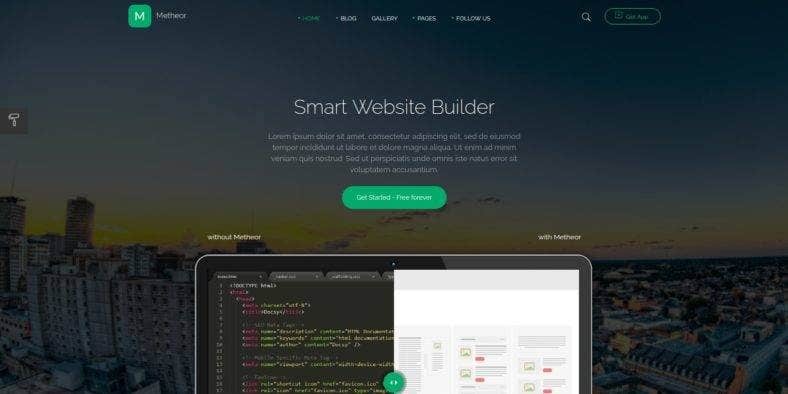 Made with the latest Bootstrap 4 version, this theme provides your users with a real and trendy website experience with its super responsive layout, cross-browser compatibility, and thousands of free web icons, as well as its clean and well-validated code with a great 24/7 support. 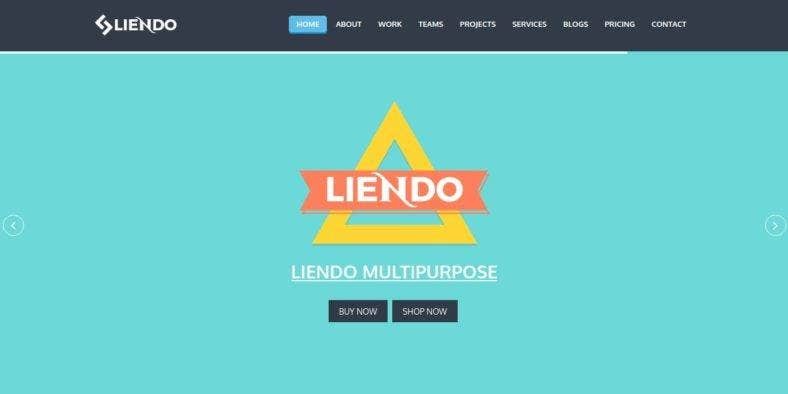 Then, we have Liendo. A multipurpose landing page template with a clean and modern design that fits effectively with many different products and services as well as creative businesses, agencies, and so on. With the latest Bootstrap version on its foundation, this theme is integrated with the latest features and trends in web design. This includes a creative and flat design with lots of possibilities, a fully responsive layout that looks good on all devices, a dynamic PHP contact form for capturing leads, an Owl Carousel to highlight important content, and more. 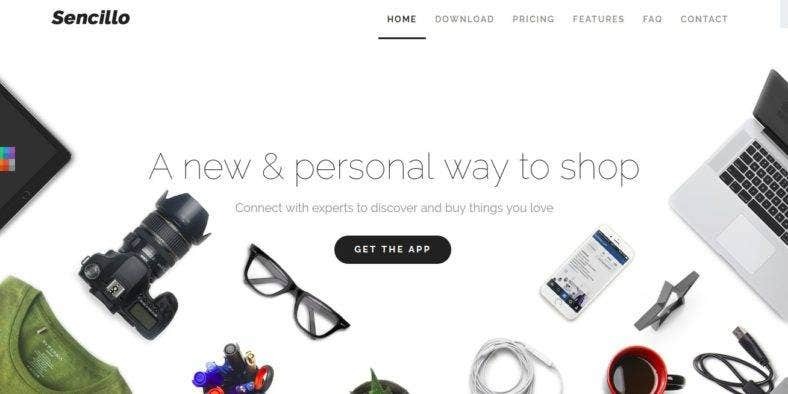 This creative and stylish landing page template provides a great way to present your products and showcase your services. 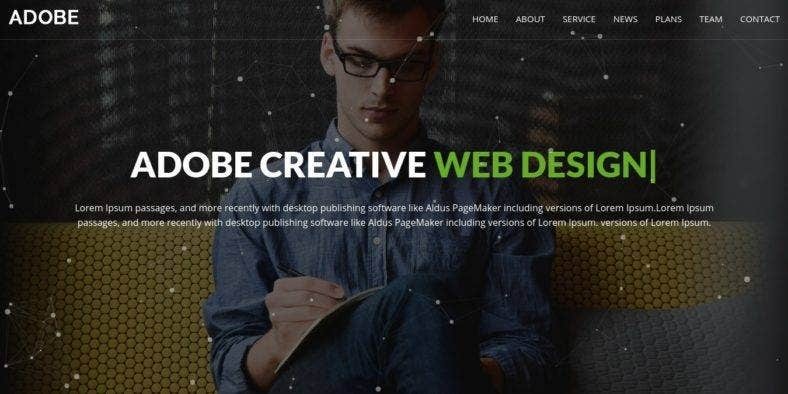 Perfect for any kind of business and creative projects, Adobe offers the latest and trendiest web design technologies that give your landing page a stunning look and awesome functionality. It comes with 10 plus sections to get started, with a responsive layout, gorgeous CSS animations, a working contact form, and mail newsletter form. It also includes Google Fonts, Font Awesome Icons, jQuery plugins, and much more. 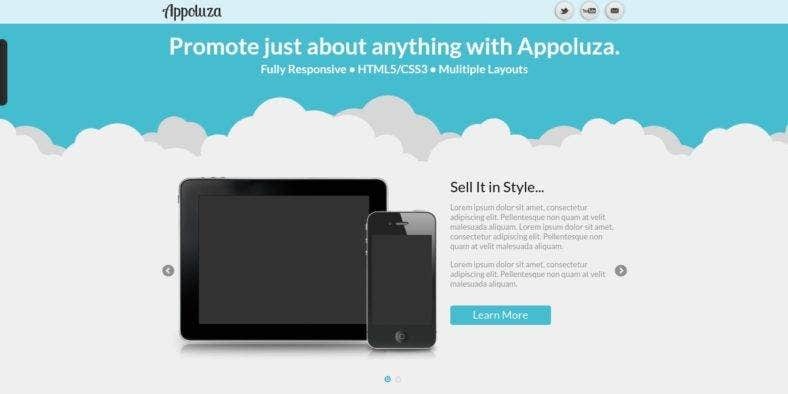 Appoluza is another multipurpose landing page theme that comes with over six layout options to cater different marketing purposes for apps, products, services, personal, and portfolio use. This responsive HTML5/CSS3 template has a clean and minimal design with a highly responsive layout that can be perfectly viewed on all devices and browsers. It features a full-screen homepage slider with video capability, a working contact form and neat newsletter subscription form, a testimonials section, and many other latest and trendiest features on the web. 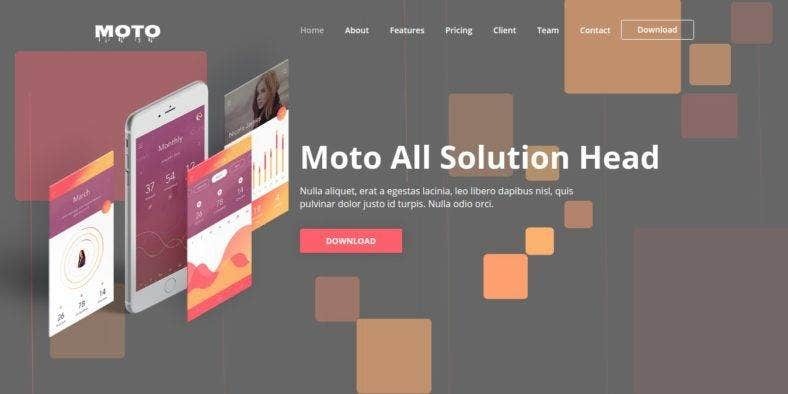 A multipurpose responsive landing page template, Moto is an awesome template made especially for apps but can also be used for any business or creative website. It has a clean and modern design with over 12 versions available to choose from and tons of awesome features to use which give you lots of design possibilities for your landing page. It also boasts of a gorgeous typography with Google Web Fonts and Font Awesome Icons. Aside from being responsive, the theme is also fully compatible with all major browsers such as Firefox, Safari, Chrome, etc. Here is a responsive Bootstrap landing page template that is specially created for startups, portfolio pages, and small businesses. Teodor presents a neat and state-of-the-art design that is powered by W3C valid markup, HTML5, and CSS3 over the powerful Twitter Bootstrap framework. With a clean and commented code, it is easy to use and customize so it fits your taste and caters to all your needs. Additionally, this theme features a slick slider, CSS animations, Google maps, Google Web Fonts, Font Awesome icons, and many others. Now, we have Hybrid. A smart multipurpose landing page that is easy to use, lightweight, fast loading, and fully customizable. 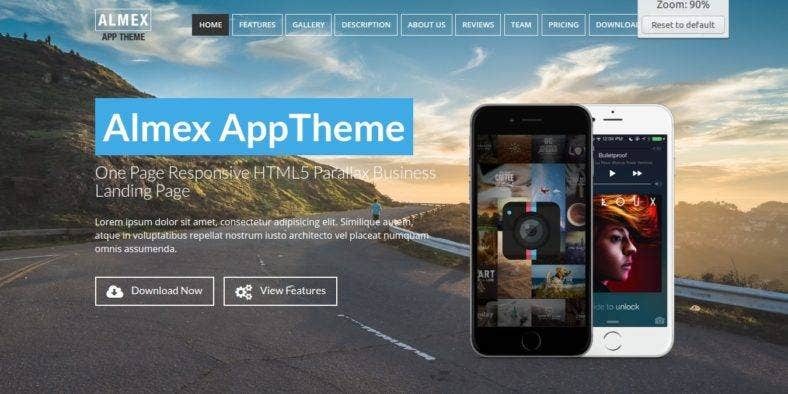 This one-page Bootstrap theme is specially made for developers, designers, bloggers, and other creative individuals to provide them the perfect online solution to showcase their works, market their products, and launch their businesses. Based on Bootstrap, it boasts of a highly responsive design that is optimized for high conversion rate and great readability, along with the many features included in the theme. 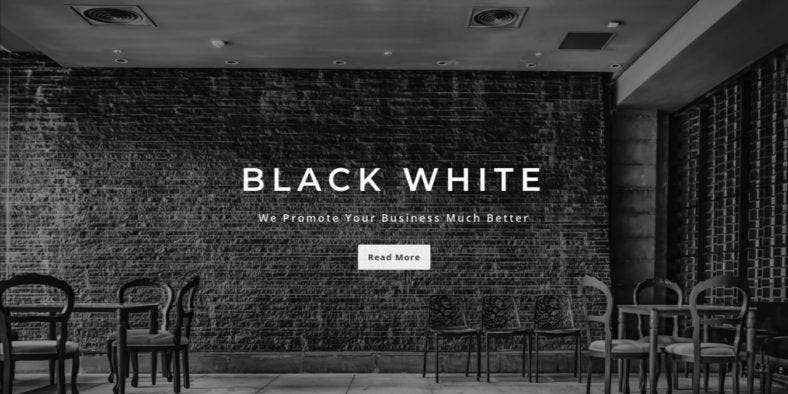 This monochromatic black-and-white template is another multipurpose responsive HTML landing page appropriately called Black White. It is suitable for any corporation, business, startup, app, agency, and other types of organizations. It comes with six demos in two variations and features such as a working PHP lead generation form, Mailchimp integration, pricing tables, smooth page scrolling effects, CSS3 effects, place holders for images,web Google fonts, and so much more. It also comes with well-organized and layered PSD files for easy customization. 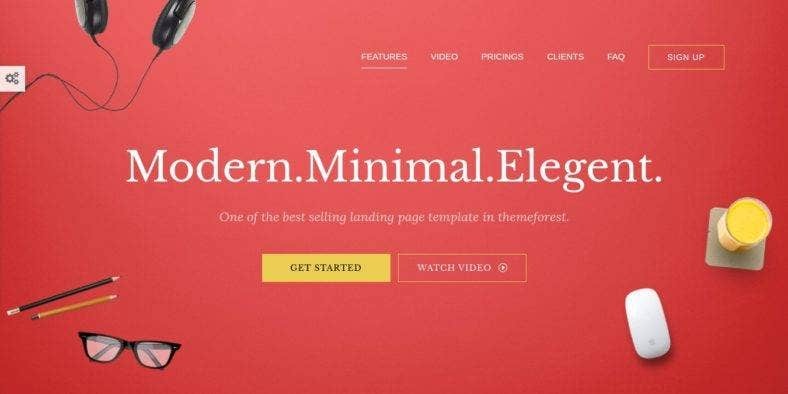 Now, here is a pixel-perfect multipurpose landing page theme with a professional, smooth and sleek, clean and modern design. One page boasts of its great attention to detail, flexibility, and performance as it includes a wide array of powerful features and a large number of options for customization. Among its features are the fluid responsive layout that fits any device perfectly, beautiful portfolio section, great-looking team section, social links, and many others. It can be used by agencies, freelancers, bloggers, magazines, photographers, creatives, and more. Then, here is Advnt. An ultra minimalist landing page theme with lots of white space to bring its content into the spotlight. A great template to use, it comes with eight demo variations that you can choose to build your product, service, marketing, app, and SaaS landing pages. It has a neat and elegant design and is incorporated into a bunch of modern and trendy features such as a working subscription form, MailChimp integration, pricing tables, and a testimonials section, among others. The theme also features SmoothScroll, Owl Carousel, and much more. Another responsive HTML5 landing page template is Capacious. 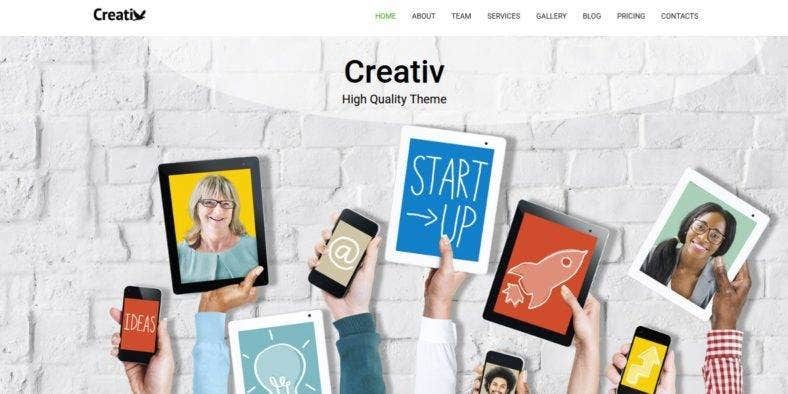 Just like many other templates on this list, it is developed to suit business and corporate websites, as well as apps, products, showcases, portfolios, and much more. 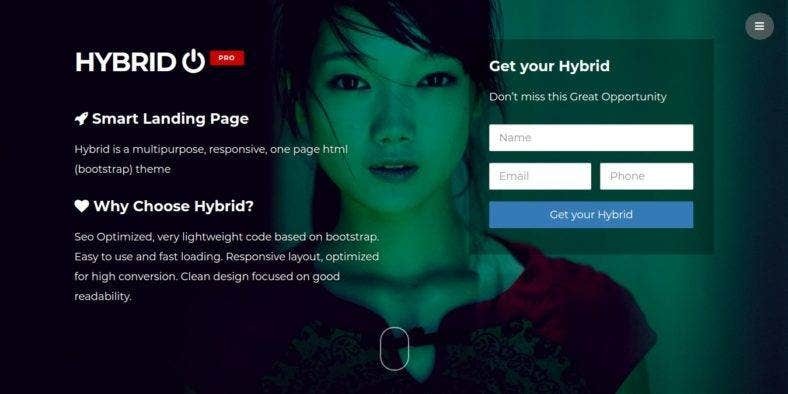 An incredibly comprehensive and amazingly powerful theme, it features lots of amazing attributes like the Ajax and PHP contact form, Mailchimp integrated subscription form, hundreds of Font Awesome icons, Google Web Fonts, two homepage options, and two color variations to help you build just the right landing page. Sencillo is a multipurpose responsive landing page template that is carefully crafted to be used as an app landing page, product landing page, business promotion page, product showcasing page, and many other purposes. It has a modern, trendy, and elegant design as it is built with the current and most popular web design technologies, such as Bootstrap, HTML5, and CSS3. The template comes with 14 color variations, seven homepage layout options, and dark or light alternatives. It is responsive and SEO-friendly which ensures an effective online presence. 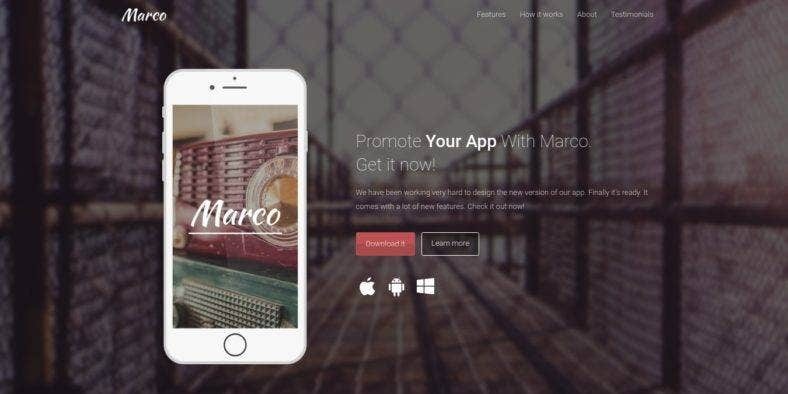 Marco is an extensive multipurpose landing page theme as it comes with 19 different layout options to make sure it fits any purpose the landing page is built for. You can use it to promote your apps, website launches, e-books, blogs, products, services, skills, and more. Aside from that, it also comes with over 30 working forms for registration, login, contact, and subscription, among others. Other features include various color schemes, full-screen backgrounds, images slider, Mailchimp integration, a countdown timer, pricing tables, and so much more. Why choose a landing page? There are many reasons why you should use a landing page. Aside from helping you increase your conversion rates, its main reason is it focuses on a single objective with targeted promotion or product specific ads that match what your visitors clicked before reaching your page. Unlike a website homepage which has a general purpose in mind and presents the overall idea of your brand with links and navigation to other pages of your site, a stand-alone landing page allows you to focus on the goal of converting your visitors into potential clients with a dedicated section that is free of distractions from other elements of a website. Other than the ones already being mentioned, there are other reasons why a landing page is essential regardless of what industry you belong to or what engagement you have. Leads from your chosen targets are important in every business. This is where you build a community that revolves around your brand. You can use your social media networks, email newsletters, and even search traffic to steer your prospects to your landing pages. It could also be used to collect demographic data and other valuable information as leads turn into conversions, making your target audience more refined and specific. Also, it is easier to integrate marketing offers and advertisements on a page that is designed to convert rather than just inform. If you want to gain all these benefits of having a landing page for your business or other purposes, then make sure to provide a unique proposition with a brief headline on your landing page, integrate an eye-catching image or video, state the benefits of clicking the CTA button for your visitors, do not forget to request their email addresses for a fair exchange, and grab one of these templates and create a killer landing page strategy. For more ideas and inspiration, you can also take a look at our selection of amazing parallax landing page templates, only here at Template.net.